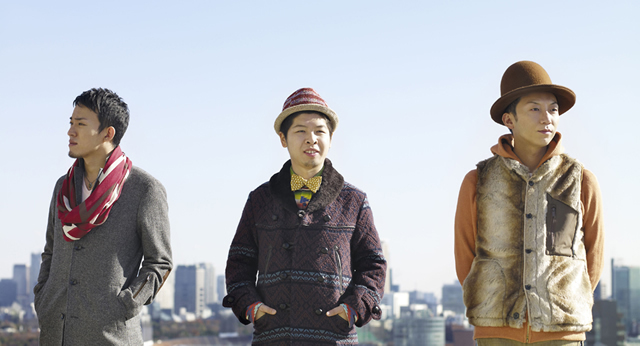 Funky Monkey Babys is a Japanese hip-hop band grouped in 2004 under the record company DREAMUSIC Inc. All members in the group are from Hachiôji, Japan. They are known for featuring celebrities in their promotion videos and singles jackets. Clearly, “BABYS” is an intentional spelling error for “BABIES.” Known as fann-mon in short. Their 4th single “Lovin’ Life” is a charted hit that recorded a long sales and received multiple high rankings on the Japanese sales charts in the first half of 2007. In July of 2007, they released another single titled “Chippoke na yuuki.” They are attracting fans with their high energy live performances all over Japan and continue to gain popularity on various popular media.